February 23, 1926, Norma F. Wilkins was born to George and Alberta Fowler in Ogden, Utah. She is of pioneer grandparents, who crossed the plains in the late part of the Utah migration. She graduated from the first graduating class of Ogden High School in 1944. She married the love her life, Guy Wilkins, Jr., on August 21, 1944. They were married for 74 beautiful years. She loved traveling the world with her husband, with his work projects. She also fulfilled many assignments in The Church of Jesus Christ of Latter-day Saints in several locations in the United States. In Louisiana, she served as Stake Primary Counselor and helped establish Primary in numerous branches. 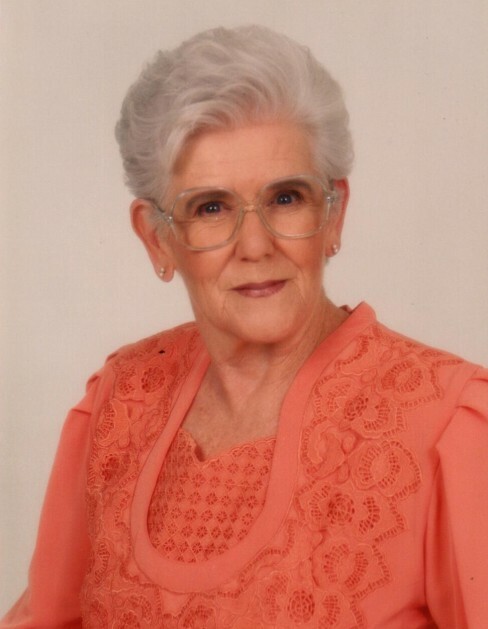 In the 1950s to 1960s, she served as Stake Primary Counselor in Houston, Texas. In the 1960s to 1980s, she also served as Stake Relief Society Counselor in the Freemont California Stake and served in the Oakland Temple as a supervisor of the Brides area. The rest of her life she attended temples wherever she was, almost daily. Norma was the beloved mother of five children, David F. (Judy) Wilkins, Daniel Dee (Louann) Wilkins, Kathy Sare, Charles Guy (Sue) Wilkins, and Michael John (Kim) Wilkins. She has 14 grandchildren and 26 great-grandchildren. Norma passed into the heavenly kingdom on December 3, 2018 at the age of 92. Funeral services will be held on Saturday, December 8, 2018 at 11 a.m. at the Malans Peak Ward, 1029 26th St., Ogden. Friends may visit with family on Friday from 6 to 8 p.m. at Lindquist’s Ogden Mortuary, 3408 Washington Blvd. and Saturday from 9:30 to 10:30 a.m. at the church. Interment, Aultorest Memorial Park.